** Registration of the online application by the the students for post matric scholarship is closed. However registered students/institution can send/ resend, edit/ update their applications. ** Portal will be reopened on 10th January 2019 for newly opened institute. ** All students are directed to approach their institution for Updating/Editing your application. Other state students have to approach their respective district officer. ** All students are directed to fill their Bank Account number with proper IFSC code. Jandhan Bank Account/Minor Account are credit limit account so check the total approximately scholarship amount will receive if it is more than your account credit limit and you have already filled same should be change immediately. ** All students are directed to enter only his/her mobile no in application form. It may be noted that above stated dates shall not be extended under any circumstances. 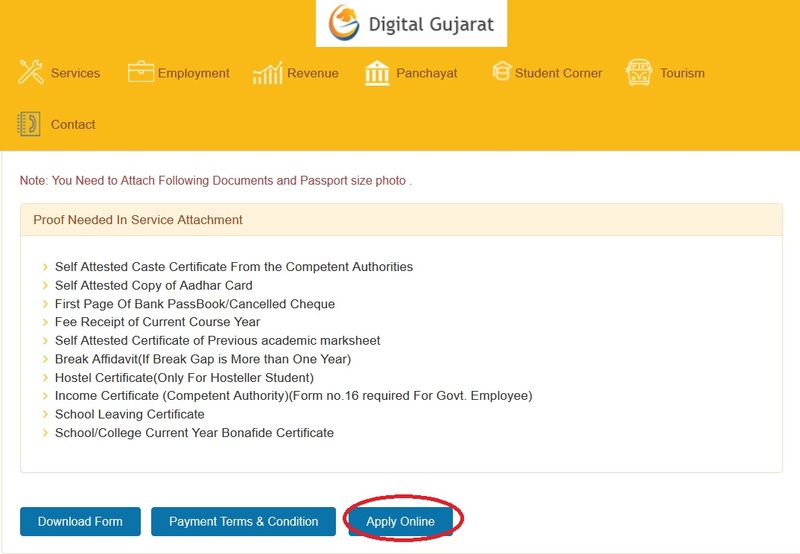 ** Students are hereby requested to keep their Digital Gujarat User ID & Password confidential. In case of any mis-credit/malfunction happens due to sharing of credential, student will be held responsible. ** Students have to be very careful while furnishing their bank account information any wrong entry department will not be held responsible for mis- credit. ** Select the particular Scholarship you want to apply. ** Accept the Terms & Conditions and Click on the “Apply Online” button. Enter the following details for Online Registration. 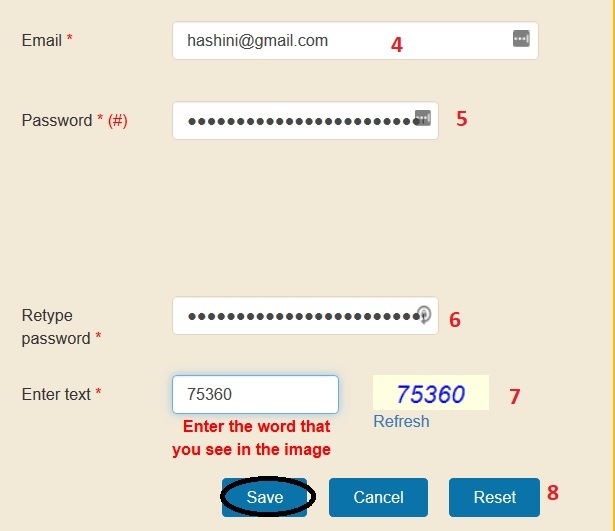 Password must be between 6-40 Characters, combination of alphanumeric letters with at least one numeric,one upper case character , one lower case character and one special character. ** After register your account you can Login with the required details and fill the remaining details to complete the scholarship application Form. 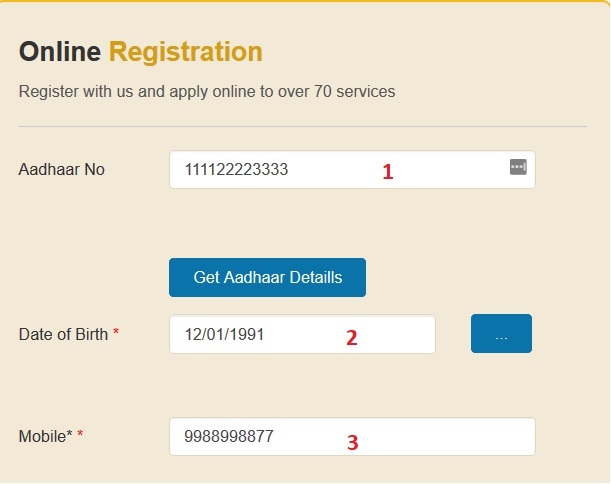 ** All fields marked with *(star) are mandatory fields in Online Application. ** Only one application per applicant will be acceptable for scholarship. If any student submits more than one application his/her all applications will be rejected. ** Any wrong/misleading information provided then the Application will be rejected. ** Student has to fill his/her application carefully as there is no provision for institution change once the application submits successfully. ** The Validity of Income Certificate is 3 years. It is advised to check the Income Certificate issue date before uploading the document. ** Direct Individual submission of this application form will not be accepted in case of students studying inside the state. Only outside students have to fill there form online and submit his/her application form to their native district officer. “Website is under construction. Coming soon” message appears on digital Gujarat website. 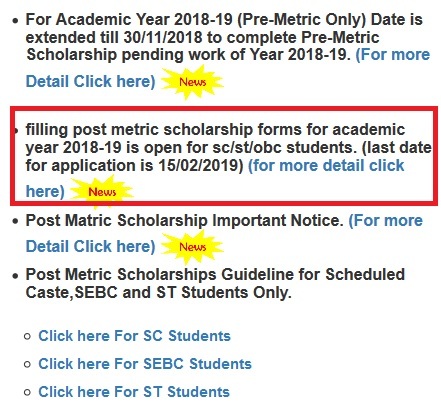 I wish to know the release date of scholarship amount. I have been trying to apply for Postmatric scholarship but site is always get logout when you are saving the data.